One of my favorite things about running this blog is that as owner of said blog, I can write about whatever I damn well please. In that spirit--and as a service to the world--today, I'm counting down the top ten best lyrics from Justin Timberlake's new album. Someone had to do it, right? Mirrors is kind of narcissistic if you analyze it literally, now that I think about it, but still... Anyway, I'm going to go with the belief that this is a song about Justin & Jessica and the idea of two halves of the same whole, yada yada. Bonus: This is a rare song which is better with the video--and not just because of the crazy dancing at the end. I'm conflicted. What do you do when Justin Timberlake encourages you to dance, dance? I mean, you'll never be able to match JT's moves, so that's a lot of pressure. However, I suspect that Justin also doesn't judge bad dancing, as long as you're feeling the music or what have you. There's some funny math happening here. I'm pretty sure that you can travel more than 20,000 leagues in a single day if you're traveling at the speed of light. Now that I know the truth, what am I suppose to do? This hook looks so strong when it's written out, but if you listen to the song, it's ridiculously catchy. Tinted windows are so swoonworthy! I love every single word in this song. Remember all the oldies that involved taking one's best gal on a rocketship into outerspace? 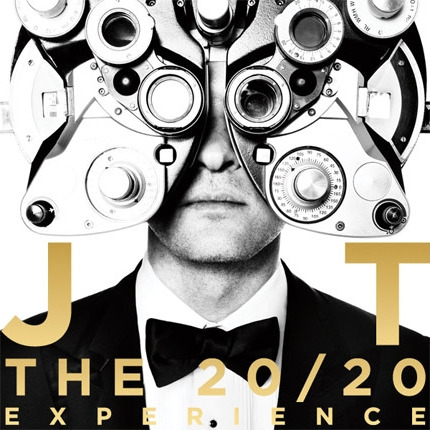 I love those songs and JT's interpretation is such an awesome blend of old school and new pop. As a result, this is the lone song with two--yes, two!--entries in this extremely official top ten list. Commentary: Candy metaphors abound on this album, but this is probably my favorite. Bonus: Excellent sexual innuendo, JT. Just excellent. Love is a drug; an old metaphor, but it's a reliable one. This song is my new jam: Swoon CIty, USA. Bonus: Jelly bean used in a rhyme. How do you feel about my rankings? In a controversial move, I completely omitted any lines from Suit & Tie (which is actually my second least favorite song on the album, which is strange, since I also love Jay-Z)--no lyrics stand out to me as particularly memorable, amusing and/or swoonworthy.